Inspection and planning: Before cleaning your rug, we inspect it to determine its material, density, weaving pattern, the amount and extent of cleaning required and more. 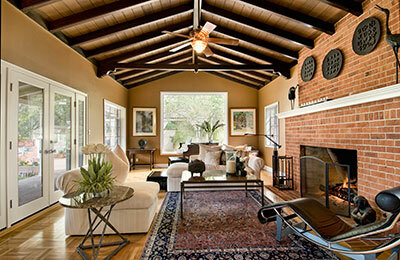 This allows us to determine the cleaning method that best works for your particular type of rug. Next, we come up with a detailed plan of handling and washing the rug – going ahead with a proper plan keeps us focused and helps us do a good job. 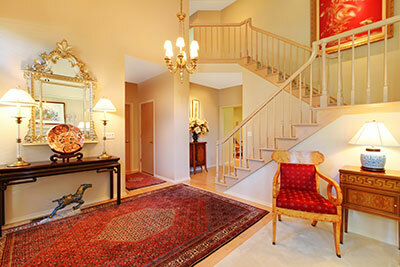 Choosing the solution that goes with the dyes - The right type of cleaning solution is applied to your rug. This is a very important step, as some chemicals are too strong and can damage your rug's dyes while others aren’t strong enough and will fail to wipe out the stains. Here, the information we collected in the previous phase helps us a lot: knowing the details of your rug makes it far easier to select the right solution to bleach out the stubborn stains while leaving your rug unharmed. 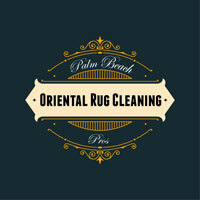 Washing the rug - We then scrub the solutions evenly throughout the rug and let our formula break down the stains. We make sure that the cleaning agent soaks deep into the fibers and is absorbed into the fabric's foundation. Rinsing and wringing - After the rug has been hand-washed, it's time to squeeze the water out of the fibers. However, before doing this, the solutions and soaps first need to be neutralized; this is to ensure that the rug isn’t stiff from a high pH concentration that water won’t flush out completely. Once we have neutralized the soaps, the rug is either placed in a wringer or squeezed by hand, depending on its strength. If the rug is suitable to go in the wringer machine, we'll turn on jets to add fresh water into the rug before it's squeezed. Sometimes, we need to repeat this step a few times, especially in the case of pet odor removal treatments. Centrifuge extraction - Usually, the rug still retains a bit of water which would slow down the drying process. In these cases, we'll place the rug in a centrifuge to be spun before being hung out to dry – again, we only do this if we are sure no harm will come to the rug. Drying - Now that the water has been removed from the rug, we hang it up to dry and sometimes run a blower on it. We prefer not to use heat because our entire cleaning process is designed to leave your rug clean, soft, and undamaged by the time you get it back. ​Once the rug is completely dry, we call in the quality control team to check the rug and make sure it's fit to be returned to you. Should they give it a pass, it's time to gently pile brush the rug and put it in a clean and dry storage area for you to collect it at your leisure.